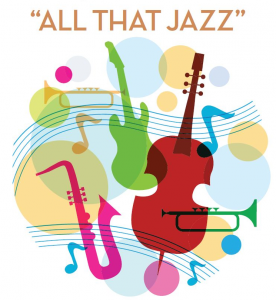 Three generations of Japanese American jazz musicians and singers will be featured at “All That Jazz,” the fifth annual fundraising dinner for the Grateful Crane Ensemble, to take place on Saturday, March 23, from 4 to 8 p.m. at Nishi Hongwanji Los Angeles Betsuin. In between Nomura’s jazz standards, musicians and singers representing the subsequent Sansei and Yonsei generations will take the stage to showcase their own styles of Japanese American jazz. Representing the Sansei will be the Scott Nagatani Quartet. Nagatani, the long-time musical director and one of Grateful Crane’s founders, will be featured on piano and will be joined by Danny Yamamoto on drums, Gordon Bash on bass and Tracy Wannomae on saxophone. The up-and-coming Yonsei generation will be represented by GF3, a jazz trio featuring Gary Fukushima on piano, Miles Senzaki on drums and J.P. Maramba on bass. Senzaki, who has performed with Grateful Crane several times in the past, is carrying on the jazz tradition in his family as his late father, Randy Senzaki, was a saxophone player who played in Bay Area bands during the ’60s and ’70s. In between the jazz combos, the Grateful Crane Singers and Next Generation youth will be singing jazz standards from the ’40s, ’50s, ’60s and ’70s. Before the show, there will also be a bento dinner and silent auction. King’s Hawaiian Bakery in Torrance will be providing the dessert. Sponsors for the event include (as of Feb. 27) Frank Kawana of Yamasa Enterprises, Gary Kawaguchi of the Kawaguchi Kihara Memorial Foundation, the Hiji Brothers, Michi Dohzen Family, Fukui Mortuary, Sadako and Hiroshi Kashiwagi, Union Bank, and Seki, Nishimura & Watase.